Facebook's Workplace is a dedicated platform that offers tools for companies to connect, communicate and collaborate. 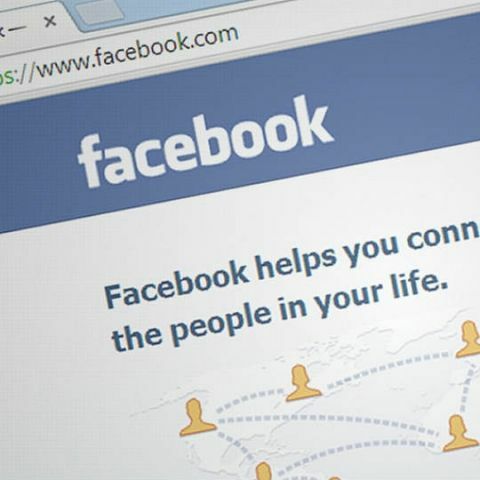 Facebook has announced that its Workplace online platform will be available globally for free for non-profits and staff at educational institutions. Workplace is used by organizations of all sizes and it comes with Facebook features like Video Chat, News Feed, groups, messages and events. We built Workplace to give the world a place to work together. That means businesses of all shapes, sizes and industries. But it's not just businesses that work better, smarter and faster with Workplace. We've always believed that the greatest work has the greatest purpose. Which is why we're giving Workplace for free to non-profits and staff at educational institutions globally, so they can build meaningful communities and create change around the world. Facebook website redesigned yet again. Is it any good? The ability to work together quickly and effectively isn't a nice-to-have for these organizations. For some of them, it can mean the difference between life and death. With Workplace, they've found mobile, video, communication and collaboration tools to give them the edge. We're proud to donate these work tools free of charge to organizations like the World Wildlife Fund, Comic Relief, Unicef, Save the Children, RNIB, NRC, It Gets Better, Australian Catholic University and the Miami Dade School District. All of these organizations are using Workplace to connect their people, communicate and take action more effectively than ever before. Workplace provides a critical solution for non-profits and educational institutions, two industries that have always relied on creativity and innovation in the face of resource constraints. Whether it's reporting back from the field in real time with Live video, mobilising a network of volunteers in trouble spots around the world through Groups, or simply accelerating the speed of information through a school district with News Feed, Workplace has empowered organizations like never before - and they, in turn, have pushed the product to its limits. Groups. Vision India Foundation uses a Workplace Group to keep 5,000 alumni and volunteers up to date with campaign news. Having everybody together on Workplace has helped the charity lower organizational costs and cut time spent in meetings. News Feed. When Australian Catholic University's National Sustainability Manager posted a message about disposable coffee cups onto his News Feed, it was seen, shared and commented on by hundreds of students and staff members, which resulted in a campaign that cut plastic consumption on campus. Bots. Oxfam uses a Bot to demystify industry jargon. OxBot is a jargon-busting bot that will tell employees what specific acronyms mean, and will even provide a link to other internal sources of information if they want to know more. Integrated Tools. Oxfam launched Workplace using an integration with Okta to provide single sign on access for 10,000 employees. They also used an integration with Box for a seamless and more structured way of working across multiple tools. Accessibility. Workplace benefits from the pioneering results that Facebook has achieved in its efforts to make the platform more accessible for people with disabilities. For RNIB, this means screen-reading tools for the 20% of the workforce that is visually impaired. The result is game-changing impact at zero cost. Over the last 18 months, we've seen thousands of non-profits and educational institutions transform the way they work on our platform. Now we're matching their commitment to doing good with our own. That's why we're launching Workplace for Good. Workplace for Good is a dedicated program to bring life-changing mobile tools to the organizations that need them most. We are investing in a dedicated team to grow our efforts in this space, alongside a new online resource centre that brings together product information, success stories and videos to help organizations take the first step. And, of course, our premium tools will remain free. We're also renewing our commitment to #ImpactCloud, a coalition of technology companies including Workplace, Salesforce, Box, Okta and Microsoft, working together to help accelerate digital transformation and impact for humanitarian and disaster relief organizations. We have a saying at Facebook that the journey is only 1% finished. Workplace for Good will continue to grow and evolve. Today we're taking the first step, and we're excited to invite many more organizations to join us on the journey to support work with a purpose and build meaningful communities. To learn more about Workplace for Good, visit us here.